Providing you the best range of pre engineered building for food processing units with effective & timely delivery. Reckoned in the industry as a manufacturer and supplier, we are engaged in offering Pre Engineered Building For Food Processing Units. Employing modern machinery and technology, these pre-engineered buildings are manufactured with sophistication by our team of expert personnel. Moreover, owing to the spacious nature, these pre-engineered buildings are demanded across the nationwide market. 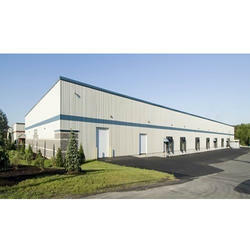 Looking for Pre Engineered Building for Food Processing Units ?